It’s finally starting to feel like Fall in Florida, and by that I mean it’s only in the 80’s for a high and we can pretend that it is Fall and slip on our boots again. The mornings are cooler and a tease of what Fall would feel like anywhere else, but our ACs are still on by mid-day! 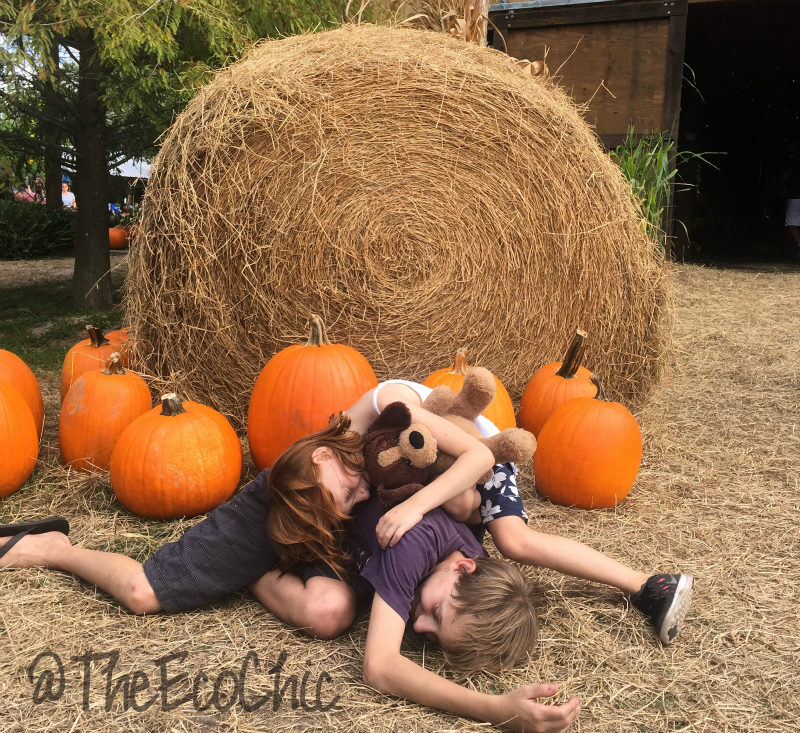 Last weekend we went to a pumpkin patch and corn maze about an hour north of Tampa and I may have come home with a sunburn on my shoulders. The kids were hot and sweaty but they did get a taste for fall with the apple cider, kettle corn, and pumpkins! 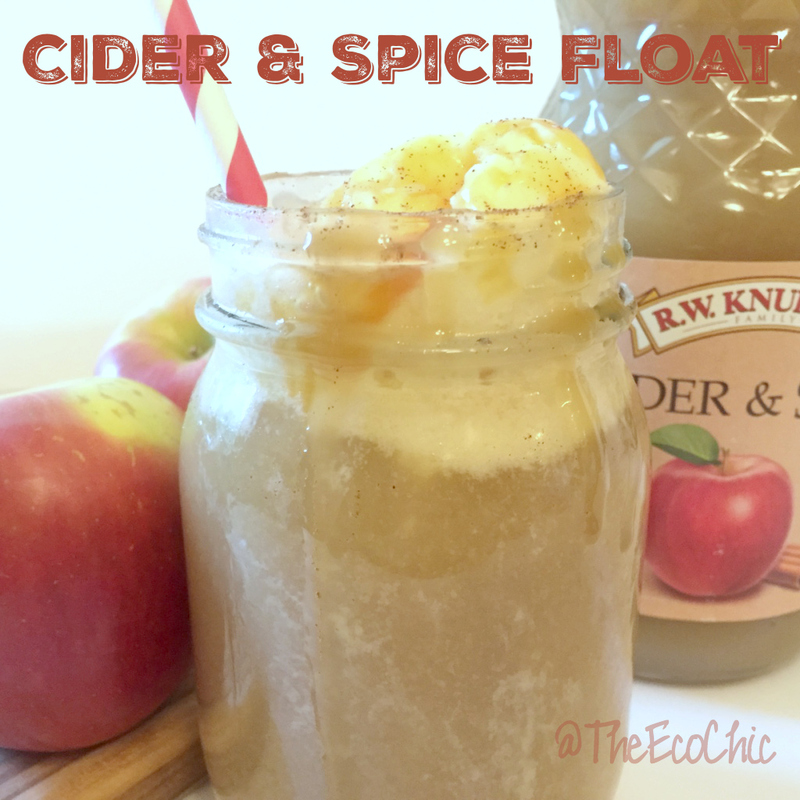 As we get ready for Halloween night festivities I decided to try a twist on apple cider for those of us in warmer climates, a cider and spice ice cream float! It was super simple to make and only required R.W. 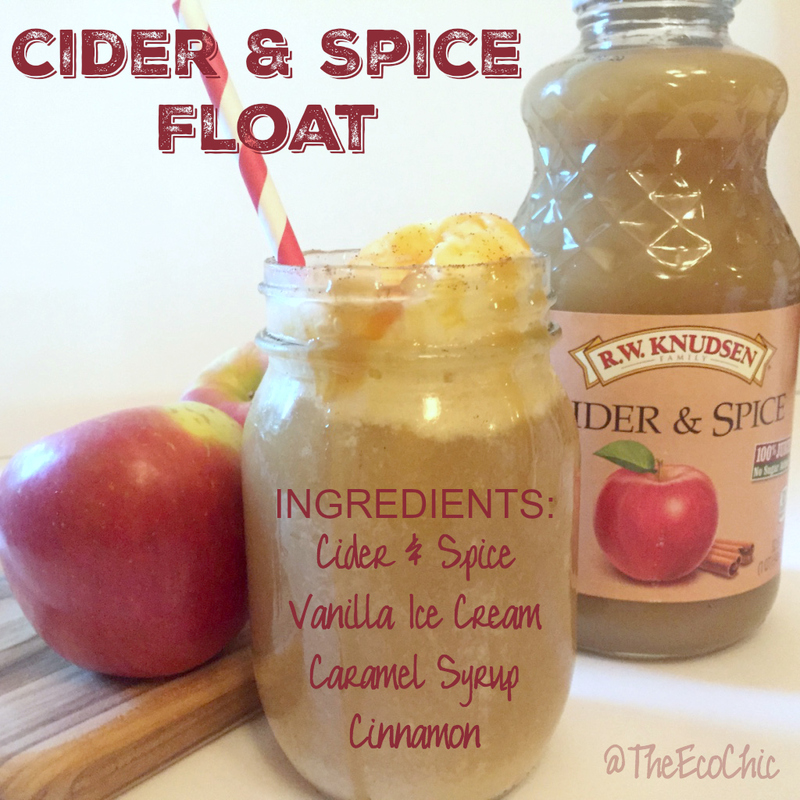 Knudsen Cider and Spice apple cider, ice cream, caramel syrup, and a sprinkle of cinnamon on top. To make it a little more fun, chill the mug (or mason jar) so it’s nice and frosted for your little ones. R.W. Knudsen Family® Cider & Spice juice is ideal for adding ease to the preparation process and a burst of traditional fall flavor the whole family will enjoy. Cider & Spice juice is made with 100% juice from ripe, whole apples, and naturally flavored with allspice, cinnamon, cloves, lemon peel and orange peel. I guess I should go figure out how to adjust the kid’s Halloween costumes for the heat or hope that it cools down by these evening. The high for the day is only 84F but it may be in the high 70s for Trick-or-Treating. Maybe I’ll wear my boots this evening after all. GIVEAWAY!!! Enter to win 2 bottles of R.W. Knudsen Cider & Spice. 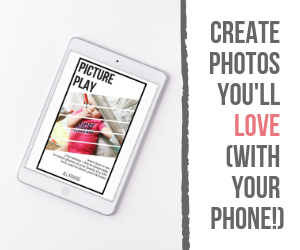 Giveaway open to US residents, 18 yrs or older. Ends on 11/8/15 at 12:00am. Is it still warm where you are? Are does it actually feel like Fall with crisp cool weather and changing leaves? What’s your favorite Fall drink? Disclosure: I am an R.W. Knudsen ambassador and receive free samples and financial compensation to share this recipe with you. Recipe and all opinions are my own. I love the Pumpkin Latte Milkshake at a local coffeeshop. Is a milkshake a beverage? haha. If not – then Pumpkin Spice Latte! My favorite Fall beverage is apple cider. My favorite is hot apple cider! Hot chocolate is my favorite fall or winter beverage. My favorite is hard apple cider. Thank you so much for the giveaway! I like cider and Captain Morgan’s. Spiced Chai is my favorite.